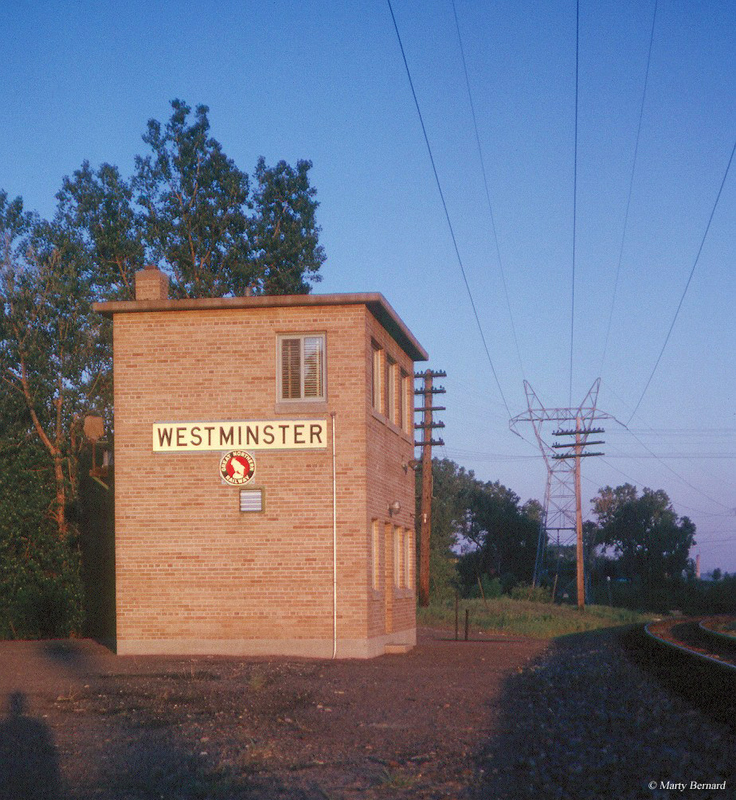 Interlocking towers (known as a signal box on English railroads) were once a vital component of the railroad network centralizing a group of signals at a busy location of a main line (such as a junction, crossover, diamond, etc.) into one location with an operator who would manually set the signal(s) to the appropriate reading (proceed, stop, caution, etc.). Some railroads had their own names for interlocking towers, such as the Chesapeake & Ohio Railway which called them cabins. As the 20th century wore on improved technologies, in particular the advancement of computers, have allowed for dispatching and signal control to be centralized and not so localized for a given section of railroad track. 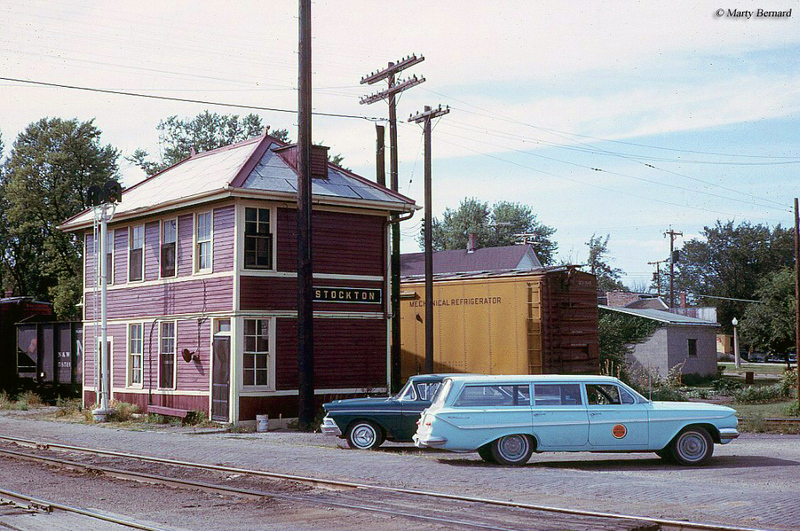 In any event, a handful of these venerable structures remain in service on Class I railroads. Additionally, other towers have been preserved as museums, available to the public to see inside and how they functioned. As such there was no longer a need for interlocking towers and today's popular centralized traffic control or CTC has all but done away with them. You can still find a few towers guarding particular locations, such as the busy intersection of Fostoria, Ohio. However, by and large the interlocking tower is a very endangered species that will soon be extinct. 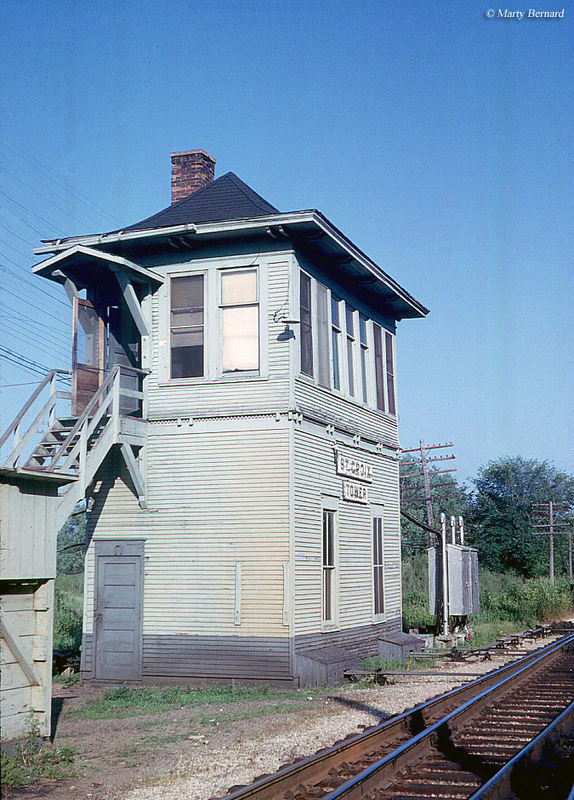 Interlocking towers came about due to a need to centralize early railroad signaling systems at busy locations. Before the tower gained widespread use a signalman would have to manually set each signal and/or turnout (switch) to the desired indication. Not only was this very time consuming it was also very costly. It did not take railroads long to realize that controlling a section of signals from one location would not only reduce maintenance costs but also increase efficiency. Railroad signals are an integral part of railroading, without them there is absolutely no way trains could safely operate, particularly on single track lines. However, more than just for safety signals allow for the efficient and steady flow of trains, enabling several to operate over a single-tracked line. 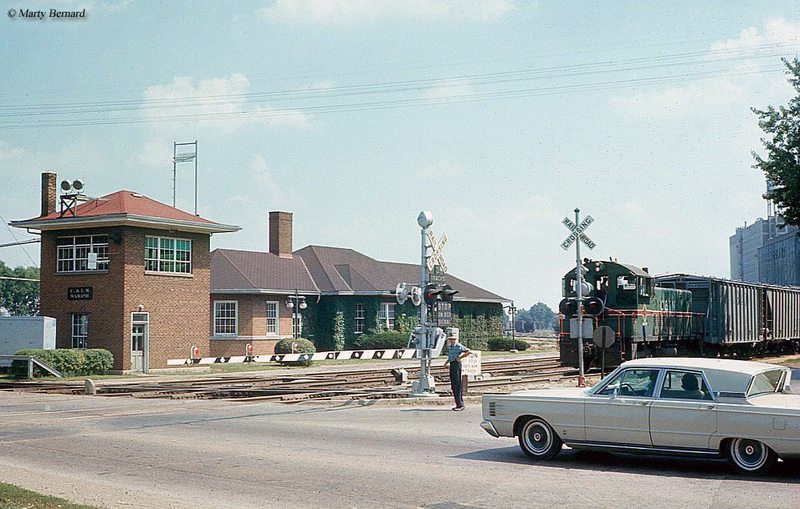 Signals have their beginnings dating back to the railroad industry's infancy itself with the famed ball-type signal. Perhaps, though, the most famous signal-type of all was the semaphore, which came into use in the mid-19th century and even today can still be found in regular service! While signal displays and meanings often varied from railroad to railroad some of the most common types were the color-light signals (or tri-lights), searchlights, position-lights, and color-position lights with the tri-light the most popular today. The first railroad signals came into use in 1832 on the New Castle & Frenchtown Railroad but really came of age in 1872 with the invention of the track circuit by William Robinson. This circuitry allowed for the steel rail's natural conductivity to be employed thus giving birth to automatic block signaling systems, the leader of which remains Union Switch & Signal created by George Westinghouse in 1881. Today US&S is part of Ansaldo STS, an Italian company. The first interlocking towers used levers to control the indication being given by signals and switch being operated. Usually these levers were given some type of color coding to let the operator know what indication the signal would display. Interestingly, these hand operated levers remained in use through the end of the 20th century in some locations and there may be a few hold outs still in use today. However, as technologies improved interlocking towers were increasingly updated with electronic control panels that allowed for the pushing of a few buttons to control a signal or switch point. These panels also gave operators a scaled readout of the track in which they controlled and what switch points were being manipulated. As technologies improved and signals and interlocking locations could be controlled over very long distances with the introduction of radio, and more recently, GPS the need for a centralized manned tower has virtually disappeared. Not only has efficiency been increased but also a reduction in costs something railroads also love seeing. Today, interlocking towers have all but been relegated to the history books save for a few locations that still need them, such as at Fostoria, Ohio and the dozens of trains it sees daily with multiple lines crossing over one another. No train can move through Fostoria without permission by the F Tower (originally built by the B&O) operator and this scenario is unlikely to change through the foreseeable future so at least one tower will remain in its original capacity without threat of being shutdown anytime soon. Today, those towers which still stand are either derelict (and unfortunately awaiting their final fate) or preserved, of which many of these are now museums enabling you to see just how these structures once carried out their everyday operations.